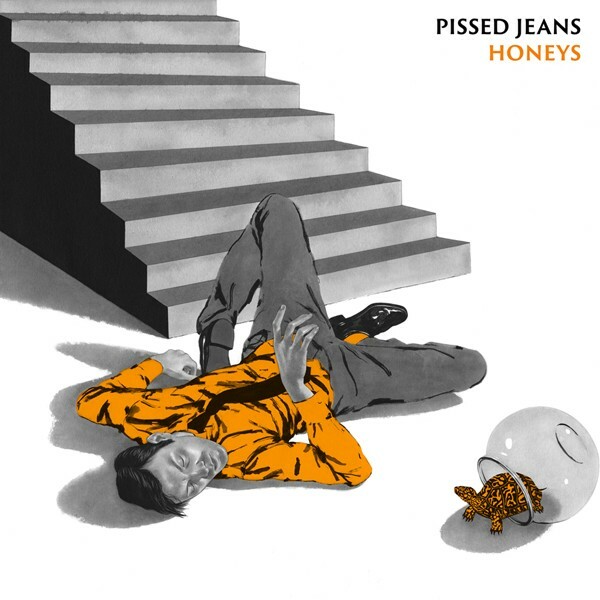 The noisy, anarchic Pennsylvanian fuzz-rockers Pissed Jeans have been away for a few years, but now they’re back with a riotous blast of an album called Honeys. We’ve posted the early tracks “Bathroom Laughter” and “Cathouse” and now the whole relentlessly seesawing thing is streaming online. Respect to any band who writes a pissed-off song called “Health Plan.” Stream the album, and make up your own pun about streaming a Pissed Jeans album, at Spin. Honeys is out 2/12 on Sub Pop.